Banks rack up revenue for every new account holder they enroll, but accounts don’t really achieve optimum profitability until the customer is fully engaged — and too often in the banking world, the relationship never reaches that level. Allowing new customers to stagnate is money left on the table, especially when you consider the long-term value of engaged account holders who become active brand advocates. 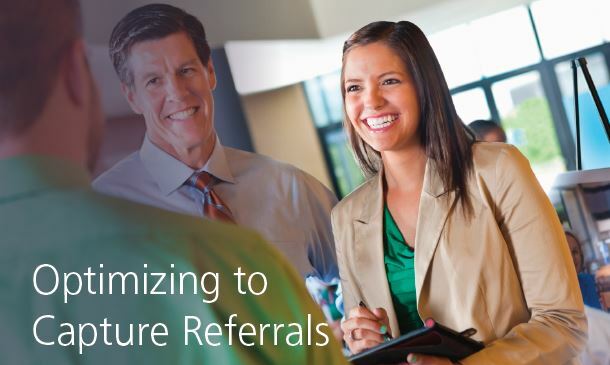 Advocates put the power of “word of mouth” referrals into action for your brand. By recommending their primary financial institution to others, promoters become a powerful and highly cost-effective marketing tool. Is your organization doing everything it can to ensure new account holders evolve into engaged, happy advocates? An FI’s brand must be top of mind – different sets of consumers are moving through their decision-making process FAST. You need to be accessible when they are ready and in the market to switch. Consumers are driven by a brand that they recognize as strong. A full 2 out of 3 potential switchers already have a bank in mind – making 24/7 on-going awareness of an FI’s value proposition critical. And with little or no prompting, fully 90% go forward with the brand choice. Lastly, 44% of consumers who do switch indicate that personal recommendations influenced their decision – far more than any other factor. This illustrates the potential of leveraging current customers to become advocates and evangelists. Many organizations are not doing enough to move account holders to advocacy. We can see evidence of this in research by Digital Scientists. In their report, “Optimizing to Capture Referrals: Turn Engaged Account Holders Into Active Advocates,” researchers note that many FIs are failing to engage new account holders. The perception of antipathy from their bank drives 43% of customers to be passive and 17% to be detractors. Just 40% feel valued enough to qualify as promoters. The difference between your detractors and promoters tallies to your Net Promoter Score (NPS), and understanding what drives that number can help you convert passive customers into fully engaged ones who promote your financial institution to others. Digital Scientists’ research showed a correlation between NPS and loan activity. The higher the NPS, the more loan activity, and the greater the loan activity the more likely consumers were to be promoters. It seems intuitive, but bears stating simply: happy customers spend more, and they are more likely to think well of their financial institution and share that positive perception with others in the form of revenue-generating referrals. To promote or not promote? Poor customer service and a persona that felt too “corporate” topped the list of reasons for lower promoter scores. Fees were also a factor for more than 20% of consumers, as were trust issues (13.8%), poor rates and benefits (10.3%) and barriers to switching (6.9%). These factors made bank customers feel undervalued, and created a negative perception that stands in the way of any possibility of enriching the relationship into one of brand advocacy. Understanding customers and Net Promoter Scores can help financial institutions increase retention rates, products per account holder and number of promoters/referrers. Customer service still leads the way for consumers when it comes to their satisfaction levels with a financial institution and is directly tied to promoter scores and referrals. Leverage that knowledge to build an effective onboarding experience and a strong referral program that rewards account holders for their engagement and advocacy. Download the report to advance your advocacy rate and boost your bottom line.